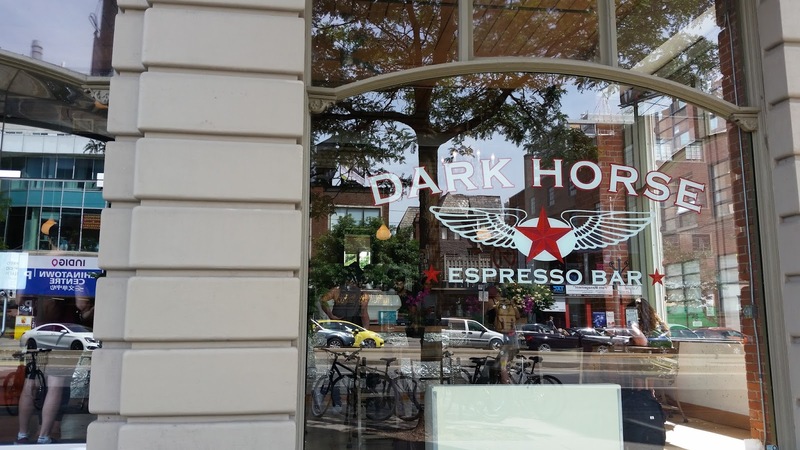 Living downtown, I have made many trips – whether that’s on foot or in my parent’s car – and passed by the large expresso bar that was called Dark Horse. Each time I have passed by, it’s always decently crowded and its big, bright windows seemed to be inviting me to come inside. One morning I insisted to my friend, Nguyen, to meet me there for a cup of coffee. The moment I walked into the expresso bar, it was filled with bright light, and simply beautiful people. 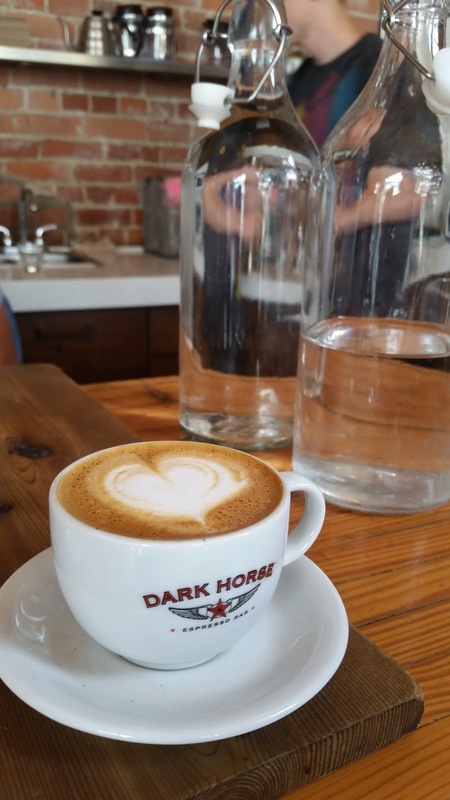 The one thing I love about being downtown is being surrounded by people of all walks of life – something as simple as going to an expresso bar such as Dark Horse just brings together all types of people. The ambiance was everything you could find in an interior design magazine; open concept and wooden decor which added nicely to the hipster feel. Truly, I was very impressed with the atmosphere, and to top it off it was a beautiful sunny morning in June. When Nguyen and I got our drinks, unforutunately the main area was quite crowded (with good reason, it was probably the prettier part of the cafe). However, they did have seating areas at the back of the expresso bar, which was almost as nice – though I wish the lighting was a bit brighter there so I could enjoy my coffee more. Regardless, Nguyen and I sat with a Cafe Macchiato and a Vanilla Latte for me and exchanged some great conversation about coffee, food and Vietnam. 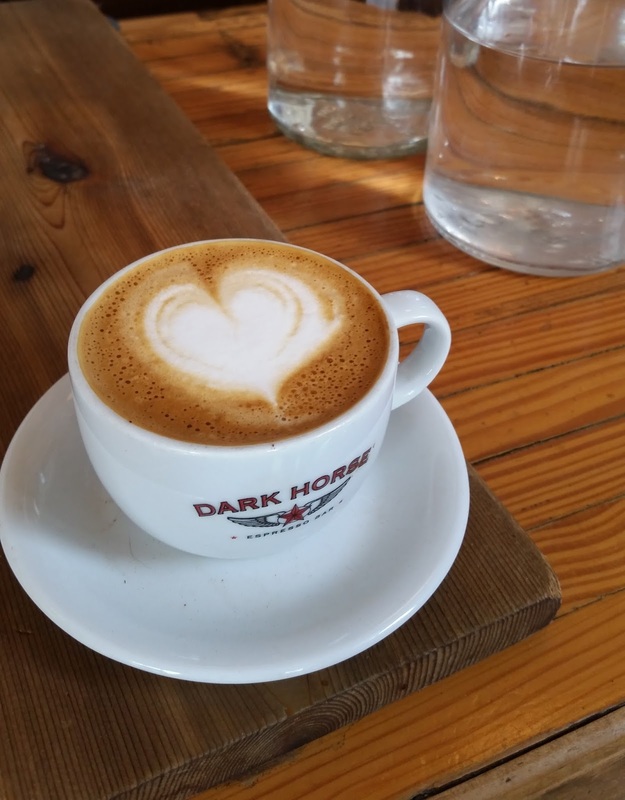 Overall, coming to Dark Horse is great if you’re looking for something different from your usual cup of coffee at home, Starbucks or mainstream coffee. 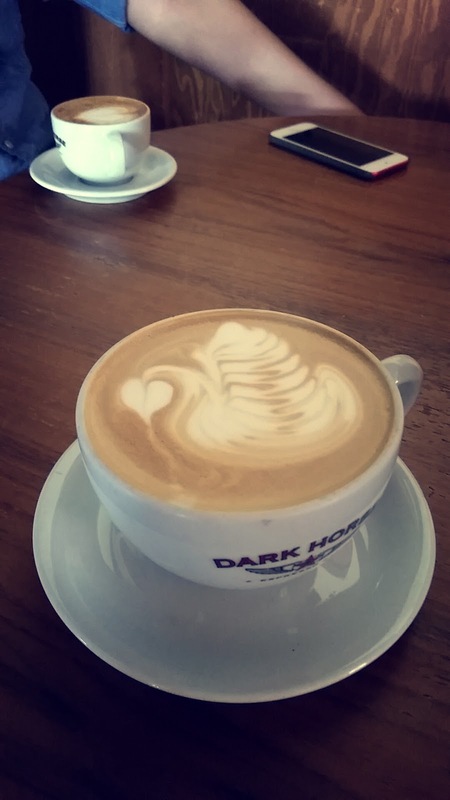 If you’re into latte art like myself, a plus for one to come into Dark Horse and witness the barista create the drinks right before your eyes (a little show for your morning!). I highly recommend coming to Dark Horse – I had no regrets coming here with my friend.